Cricket is one of the purest forms of exhibiting inspiration. The game isn’t just about statistical accomplishment or a stack of records. It may either result into a glorious victory or a crushing defeat, but has semblance with some inspiration that directs efforts in the first place. And, therefore, it has to be said that seeped inside the craft of many a cricketer is an inspiring story that guides one to give his best on the 22 yards. Icons have come and gone, but not before painting the game with inspiring colors of leadership and great motivation. Those who walk down the sunset road engineer hope for those whose sun is about to rise. It isn’t uncommon to examine the bond contemporary cricketers share with an icon who has inspired his journey. Here, we recount 8 role models who have inspired a great crop of international cricketers. The Indian ODI and T20 Captain is among the most recognized faces of this generation. Once, a small town boy who none knew, Mahi’s rise in the game has been stupendous. Ever since 2007, MS has commanded legions of fans and tremendous all round success in the game due to his endearing leadership and powerful stroke-play. It isn’t for nothing that the inventor of the ‘helicopter’ shot is regarded as one of the best finishers in the game. Dhoni, the leader has nurtured the talents and careers of many a youngster who’s now a regular feature of Team India. The likes of Raina, Ashwin and Jadeja all swear by the belligerent right hander. 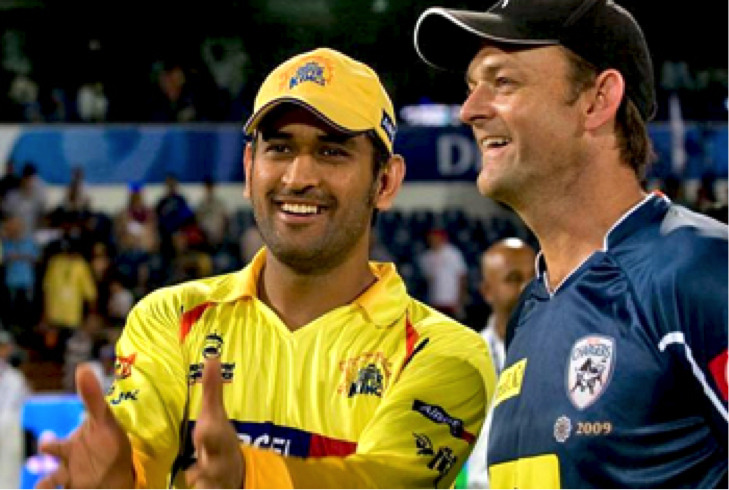 But long before Dhoni fancied his chances of representing India in national colors, he looked up to his only hero in the game: Adam Gilchrist. A fierce striker of the ball, the affable and gentlemanly wicket keeper affected 796 catches from both tests and limited over cricket. And he wasn’t just an extraordinary keeper. He was a competitive opening batsman for close to a decade for Australia. The glove-man struck as many as over 9600 limited over runs along with excess of 5500 test runs, essaying 33 centuries from both formats. Dhoni may be closer to his retirement from a game where he’s collected several glories, but his regard for Gilchrist is undeterred and admirable. We have grown up on a generation of cricketers who caricatured Cricket with timeless marvels, displaying an exposition of breathtaking batting. And must we thank the likes of Brian Lara, who made the bat dominate the epic contest over the ball. Lara, the holder of the highest individual test score and the only man to scale past the 500 run mark in first class cricket, finished with 11953 test runs and 10405 one day runs. But the man whose batting gave us such joy derived tons of it watching his childhood hero: Roy Fredericks. The Guyanese legend was a fierce striker of the ball and ever a graceful batsman who Lara followed closely from his childhood. 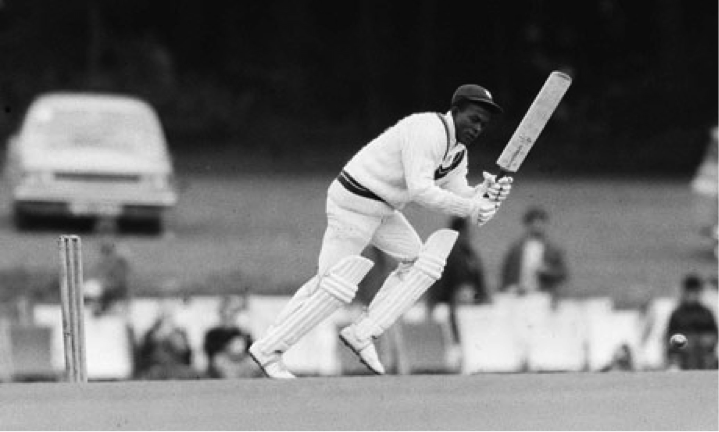 In the 70s, West Indies’ prominence in cricket was exemplary and one of their many batting mainstays was the elegant left hander, Roy Fredericks. Displaying a mastery over playing the hook stroke, when Fredericks hit it, he seemed like a ballerina who was in total control over the fancy move. Lara would follow up on his childhood hero with those commanding hooks and pulls. Cricket isn’t always a batsman’s game or a bowler’s show. Those who can do a bit of both and add special dynamics to their twin talents stand in a league of their own. But since the legendary Sir Garry Sobers, only one man has made headlines for his all-round show. That’s Jack Henry Kallis. If the Dravid’s of the world are the Wall then Kallis can surely be called the Rock of Gibraltar whose tally of 11500 plus ODI runs, 13289 test runs and 565 wickets from both formats- defended South Africa from many downfalls. That textbook style defensive technique and that stellar back-foot punch to the covers, Kallis is remembered for his powerful pulls and his magnificent on drives. He was a bit of a roadblock for batsmen as well. His medium pacers had the guile and daring of a marshal who seemed in control of his men at the battlefront. And, in recent times, only Shane Watson has managed to garner respect as an all-rounder in the same bracket as the unputdownable Kallis. 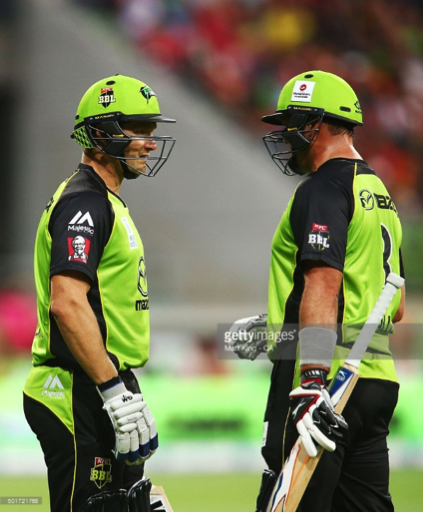 The most talented batsman Australia has produced since Michael Clarke and Rickey Ponting, Watto had the technique, will and stamina to produce jewels from the bat and fire from the ball. And he did a bit of that every now and again until a career plagued by injuries affected his longevity, forcing him to inadvertently cut short his inning. Watson has been vocal in his effusive praise of the mighty Kallis. Virat Kohli actually makes batting look ridiculously easy. He’s got all the shots in the book, the stellar punch of the back-foot, the glorious pull shot, that straight drive and that attacking smack down the track. It isn’t every-day that batsmen like Kohli are born. Fans love him, his opponents swear by him and even the ICC rankings seem to adore him. But Kohli, who’s been currently compared to unarguably the greatest batsman ever born, actually grew up admiring his hero: Sachin Tendulkar. Not that it is needed but, let it be reminded that Kohli’s favorite Cricketer resonates with the choice of a billion, one who conjured 100 centuries, 164 fifties and over 34000 runs from both formats. If Wasim Akram is unarguably the greatest bowler of his generation, then it has to be said that Imran Khan is the Sultan of Cricket. Those dead drop gorgeous looks. The uncanny pace and the ability to generate bounce on perhaps any surface. These are the many tenets of Imran’s supremacy in the game. There were many feathers in Khan’s hat, and something with which he feathered Pakistani Cricket to many a great height, most noticeably, their 1992 World Cup triumph. Like Akram himself, his hero, Imran Khan was an excellent all-rounder and one who could bat and for long periods. 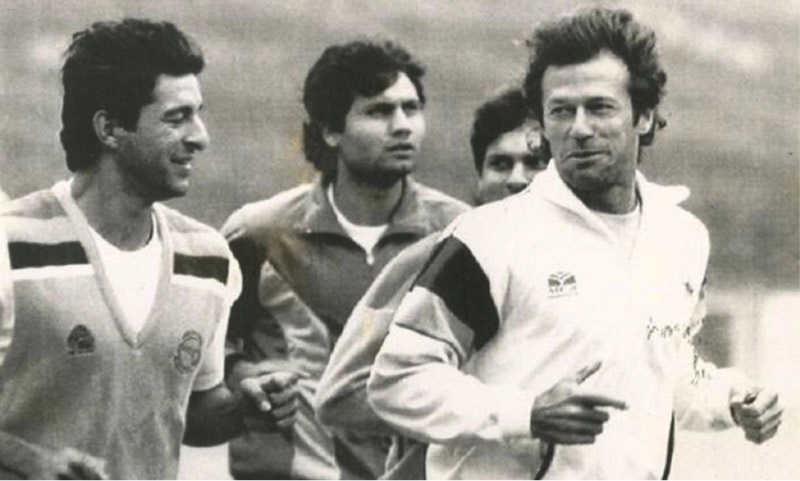 Imran’s 3800 plus test runs made at an average of 37 with a tally of 362 wickets, checkered by 6 ten wicket hauls and 23 five wicket hauls inspired a generation of cricketers, most noticeably Wasim Akram who regarded Imran Khan as his all-time hero. Sri Lankans are regarded for their attacking style of playing cricket. The likes of Sanath Jayasuriya and Romesh Kaluwitharana scorched their 1996 World Cup fortunes playing attacking cricket. Stars of their 2000s and beyond displayed grace and panache on the cricket turf, the heroes being Jayawardene and Sangakkara. But one man inspired an entire generation of cricketers, most noticeably the recent retiree Jayawardene. That man was Aravinda De Silva. Mot regard him as a technically sound batsman, but the purists would hail Aravinda as an attacking right hander who dominated world class bowlers. Reading the length of the ball and using the ability to place the ball in gaps, he piled up heaps of runs, 9200 in tests and 6300 in ODI’s with 31 centuries in all. They called him the “Wall” for his water-tight defense and the ability to focus for large durations of time in test cricket. A man who accumulated heaps of runs, 13228 of those in tests and over 10,800 in one days by wearing down bowlers, depending on his great skill with the bat, Dravid is a name that commands respect. 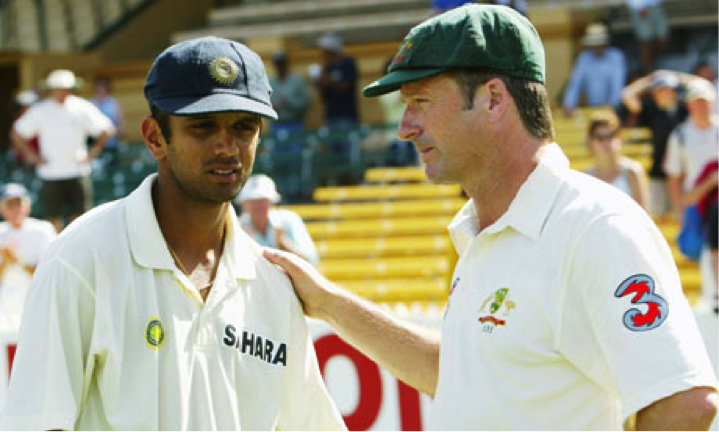 But it isn’t too surprising to note that Dravid’s own hero in the game is one who built his career on dogged determination and inspirational leadership quite like the Bangalorean: Steve Waugh. Not a man of many words, Dravid has showered heaps of praise on his cricketing idol. Steve Waugh was not just a fine bat but a captain who seemed to have in him to rescue his side from the ditch of uncertainties, also a notable Dravid trait. The great Waugh went down to paint the canvass of Australian cricket with over 10900 test runs, with 32 test centuries and 50 fifties. You have known him as West Indies’ best all-rounder in a game where they seem to be undergoing finally some positive transition. In cricket fraternity, even the most unforgiving analysts have gone on to crown him as the ‘best bowler in death overs’. He can hit it well and when he hits, the ball flied out. And in his recent super-hit solo “Champion”, his noted lyrics include a passage where it says, “Lara is a champion”. But, it’s no irony that Dwayne Bravo, quite like his hero, Lara, is a champion too! One of the finest timers of the cricket ball, part-artist, part-warrior, Brian Lara was an artist of great batting. He’s one of the few batsmen who have his name painted against some sublime range of records, most noticeably his monstrous 400 in tests and that 501 in first class record. Lara for his noteworthy and rear batting accomplishments is Dwayne Bravo’s hero, who also hails from the same region as the left hander: Trinidad and Tobago.